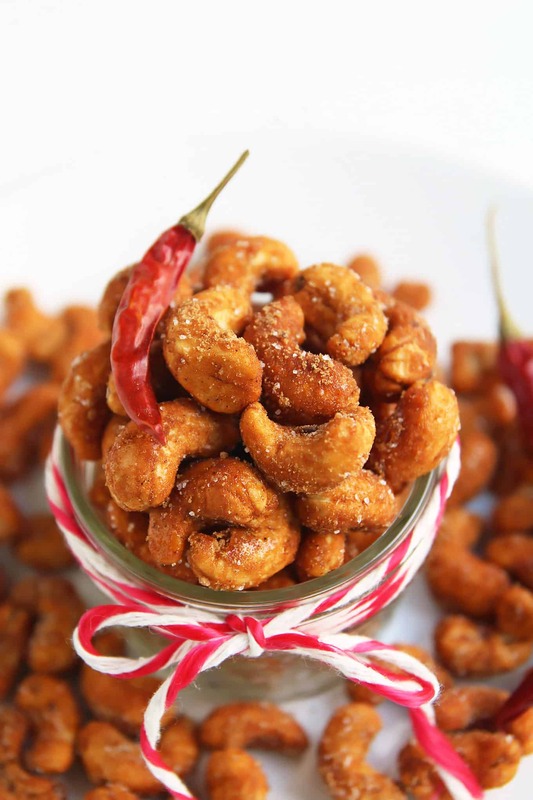 Sweet and Spicy Roasted Cashews are a delicious, wholesome snack for cooler weather. 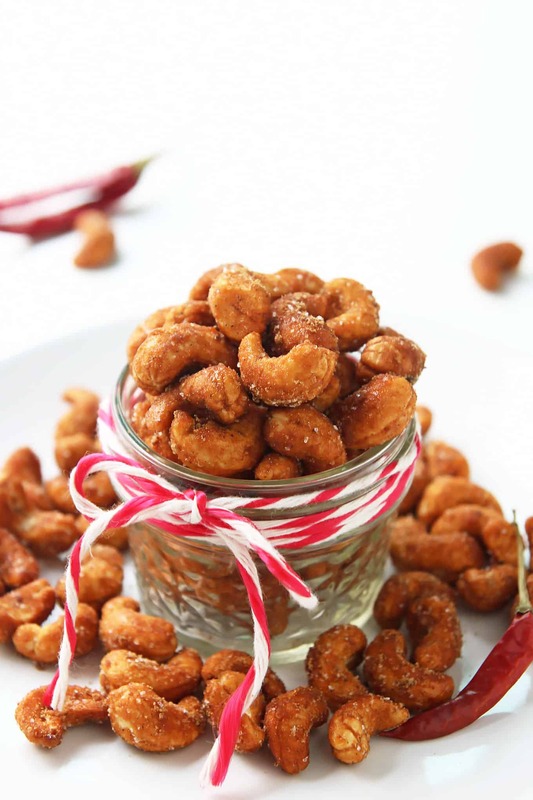 Honey and chili powder give the yummy cashews their sweet heat and crunchy coating. One of the reasons why I love to travel, are the wonderful food experiences every place has to offer. I always return with new inspiration and at least one or two things that I can’t wait to recreate at home. Our recent trip to Cambodia was no different. In many restaurants we were served roasted peanuts with our drinks – to tide us over until our food arrived. Even while waiting for takeout (or ‘take-away’ as they call it in here) a small bowl of peanuts was placed in front of me. All for free. I especially loved the peanuts we were served at our hotel with the poolside cocktails. They were perfectly salty, sweet and spicy all at the same time. I even detected a hint of lemon grass. 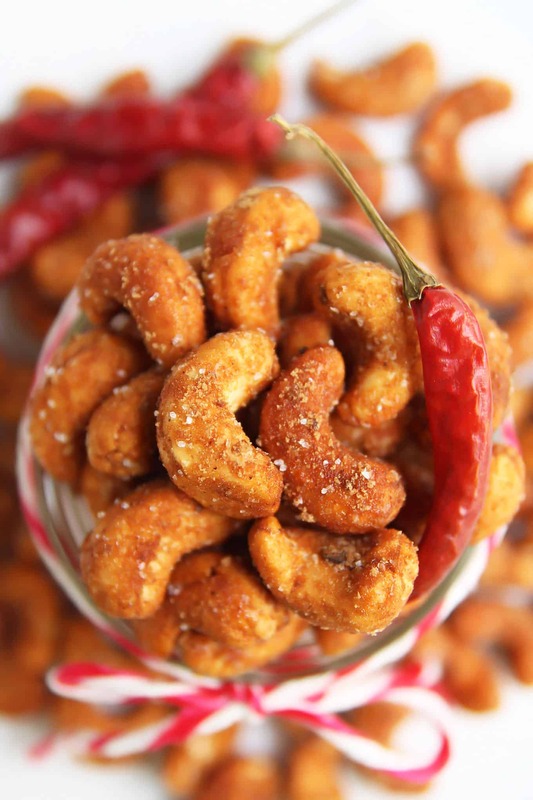 For my homemade version I decided to make sweet and spicy roasted cashews instead of peanuts. And I used no refined sugar. 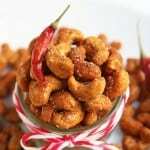 The raw cashew nuts are coated in a honey chili mixture and roasted to perfection in the oven. After roasting, the nuts are tossed with salt and coconut sugar (or unrefined cane sugar). This gives the roasted nuts great texture and keeps them from sticking together. A note about chili powder: here in Thailand chili powder is just straight up ground dried chili peppers, like cayenne pepper. 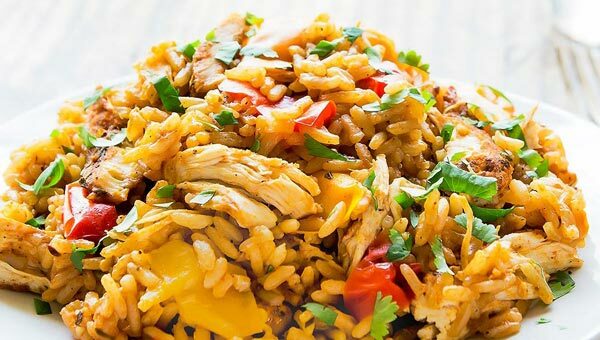 North American chili powder is actually a mix of different spices – which makes it less hot. So either use cayenne or more (North American) chili powder to achieve the same level of heat. Now that we are heading into cooler seasons (even here in Thailand) nuts are a perfect, weather-appropriate snack. They take over from summer snacks like fresh fruit and popsicles with warming sweet heat and crunchy deliciousness. Presented in a mason jar with cute ribbon and maybe even a recipe card, these Sweet and Spicy Roasted Cashews would also make a wonderful edible gift for the Holidays. Stir together honey and ground chili powder. Microwave for a few seconds to liquify the honey even more. Add the raw cashews and toss to coat. Spread the cashew nuts on the prepared baking sheet in a single layer and roast for 10-15 minutes. 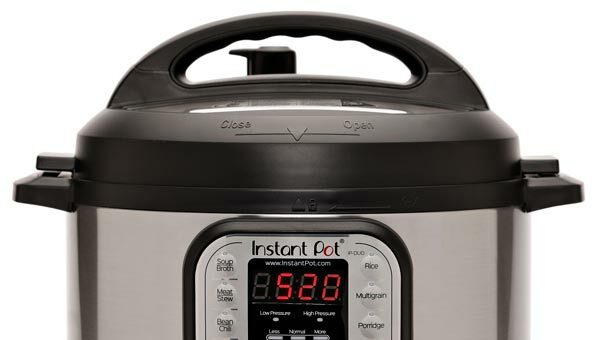 Stir after 5 minutes and keep a close eye. Take the nuts out when they look just a little darkened. You don't want to burn them. While the cashews are roasting, stir together coconut sugar and salt. Let the nuts cool for 5 minutes, then toss in the sugar-salt mix. Let nuts cool fully and store airtight. I made these for Christmas Eve two days prior. They didn’t seem as sticky as other roasted nuts recipes I’ve made so I was happy. I let them cool completely before storing in a mason jar. When I opened them last night to put into a bowl I could barely get them out of the jar. They were completely stuck togetherHubby even had a tough time. Super sticky….but oh so yummy! I’m actually sitting now with a bowl of them along with a glass of red wine. 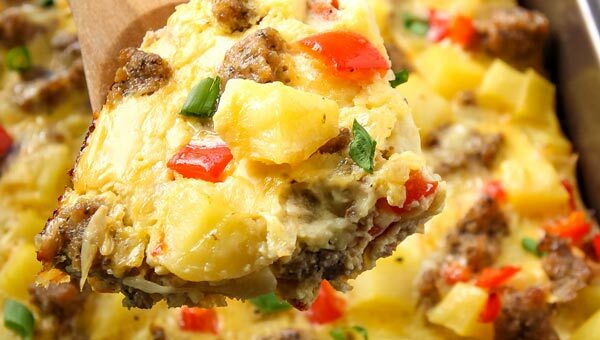 Perfect combination of sweet and spicy. Wouldn’t change a thing about the recipe. They are so worth making and enjoying…in spite of the stickiness which I’ll try to somehow lessen when I make them again. Thank you Regina for an awesome roasted nuts recipe, and Merry Christmas! These look dangerously addictive! Can’t wait to try them! These look absolutelly amazing! One quick question though – are they sticky when you take them out of the oven? Do they dry later on? Because I want to put them into little jars and give them out as stocking stuffers for a few people. Thanks in advance! Hi Alice, they are a little sticky still coming from the oven. That’s when you add the salt + sugar mixture, which will attach to the slightly sticky outer layer to form another coat that will also keep the cashews separated. Hello, can I use regular sugar instead of coconut or cane sugar? They are difficult to find where I live and I am planning on making some for my dad as a Christmas present, so I don’t really have a lot of time on my hands to wait for it to be shipped. If I can, should it be brown or white? Looks delicious! Will definitely be making some. Does anyone know how long these last when stored airtight? 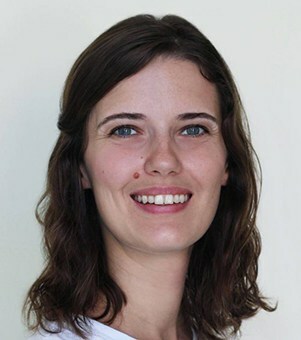 Hi Hannah, I think that will really depend on how humid your climate is. We live in the tropics and after a day of repeatedly opening and closing the container the crunchy sweet coating of the nuts will become sticky again. Now, if we weren’t to open it so much to snack on, I think they would be good for at least 3 days even in humidity. If you are living in a dry climate you’ll probably be good for at least a week. Trouble is…now I want nuts and a cocktail by the pool and it’s only 10:50 am and mid-November. Thanks for adding these to my callout on FBC. I might end up eating the whole batch at one go! They look really super, Regina. 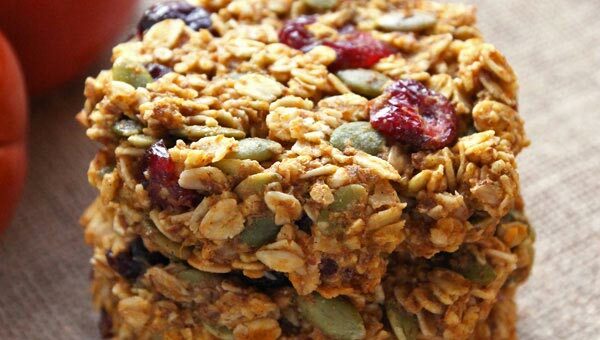 These look absolutely addictive, yum!